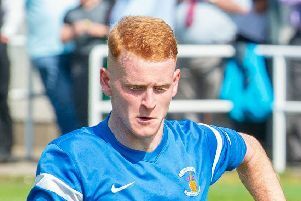 Gary Jardine admits his battle-hardened Civil Service Strollers players have surprised several onlookers this season including himself at their rate of improvement. The Muirhouse club boosted their top-four credentials after edging a seven-goal thriller against East Stirlingshire on Friday night. Strollers were defeated 4-3 when the sides last met in October, but Jardine’s men claimed the bragging rights this time around in a pulsating contest at the Falkirk Stadium. “We’re glad our game was on a Friday for a change and the boys are oozing with confidence just now,” said the former Edinburgh City manager. “They never know when they’re beat and keep surprising everybody. For us to go there and come away with three points speaks volumes of my players. East Stirling are a top side and were one of maybe five teams who had aspirations of winning the league. They’ll be a bit disappointed with how their season has panned out, but they’ve got some really good players. “I said to their manager that both games this season could easily have been draws but in the end, we’ve come away with three points each! They have been cracking games and it’s great for Guff to come off the bench and grab the winner. Jordan Hopkinson opened the scoring after 11 minutes when he pounced on a goalkeeping error to slot into an empty net before David Churchill arrowed a shot beyond Jamie Barclay to double Civil’s lead. The home side pulled one back when Paul McCafferty converted a spot-kick in the 38th minute after shot-stopper Josh Donaldson brought down frontman Ross Allum. Shire were level ten minutes into the second half when Andy Grant’s header from a corner sailed past Donaldson. Churchill regained the lead with 20 minutes left after connecting with an Andrew Mair cross, but David McCaughie set up a tense final quarter after making it 3-3. The winning goal arrived in the 87th minute when substitute Ross Guthrie prodded home following a stramash in the box to end Shire’s unbeaten start to the new year. Guthrie admitted: “We’re not looking too far ahead of ourselves. We’ve still got some difficult games before the end of the season, so we’ll just take them as they come. 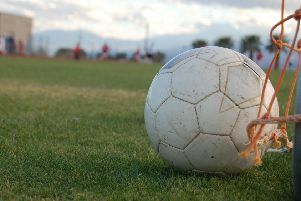 The remaining three fixtures involving Lothian teams were postponed due to the bad weather. Spartans’ trip to Stirling University, Whitehill Welfare’s home clash with Gala Fairydean Rovers and Edinburgh University’s encounter with Edusport Academy all failed morning pitch inspections.